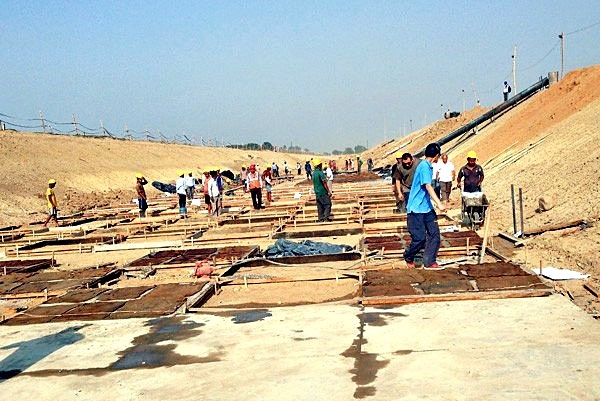 The international airport being constructed in Bhairahawa namely Gautam Buddha International Airport, recently got a 3000 meters premature runway established in its vicinity which is ready for taking hold of emergency landings. The runway is on a formation level which is established by soil compression. A file photo shows workers at the site of the Gautam Buddha International Airport project in Bhairahawa. He further added that the work for the pre-base is been going on where the river belt materials (stone and sand) are being used to raise the runway to two feet high. The construction work at airport will be completed to 50 percent after the work on the runway will be accomplished. The runway will be four feet high from the ground and will be 3000 meters long along with a width of 70 meters. Likewise, 300 meters long safety area has been made for the safety purpose. According to Mr. Sharma, 25 percent of the work has been completed. The difficult work below the ground has already been done. Likewise, he told that the work above the ground level would be easy enough to take the construction work exceedingly further. The work for pillar construction is ongoing on the site told Mr. Sharma. The work has been obstructed due to rainy days and the festivals but it will be prompt after Tihar added Mr. Sharma. There was a river in between the area selected for runway but the river was diverted within 2.5 kilometers due west. The establishment of international terminal building has been going on and the work for founding of basement has been concluded. The terminal will have different sections for arrival and departure. The arrival building will have aeronautical and mechanical sections. The work for constructing control tower and administration building has also been going on. The underground work of the building has been completed. The building for rescue and fire fighting has also been fulfilled. 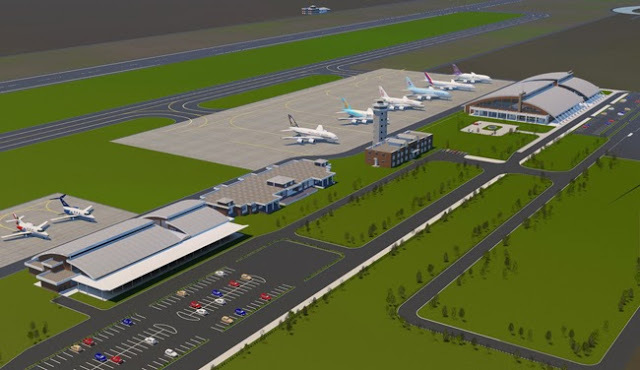 The international airport will be more equipped than the Tribhuvan International Airport. Additionally, aerobridge will be constructed through which the passengers can travel direct from the building to the aircraft informed Mr. Sharma. The terminal being constructed recently will not include aerobridge because it will occupy the parking site added Mr. Sharma. There were no initial plans to establish the aerobridge. The plans to build one were coined after the construction work has started. The next step will include establishing aerobridge. The airport was planned to finish till 2017 but the work was stopped due to the earthquake and the Terai protests and strikes for almost six months. Further, the construction was shelved when the local administration denied providing the construction materials (stones, pebbles and sand). According to Mr. Sharma, the construction will be completed in 2018. The airport is a “4e” graded airport. The airport will be capable to handle all the aircrafts that Tribhuvan International Airport (TIA) is proficient. The airport is being established under the credit of Asian Development Bank by the NorthWest Company of China. The airport will be expanded later. For that purpose, the steps to ensure 428bighaas of land has reached to final stage. The locals had restricted to ensure the lands before but later said that remunerations should be paid and the debate is settling down. In order to land in Bhairahawa Airport, the aircraft should use the Indian sky but the Indian and Nepalese government has reached to no agreement. The Indian government has been delaying the procedure. Both the construction work and agreement with India is crucial for running the airport.